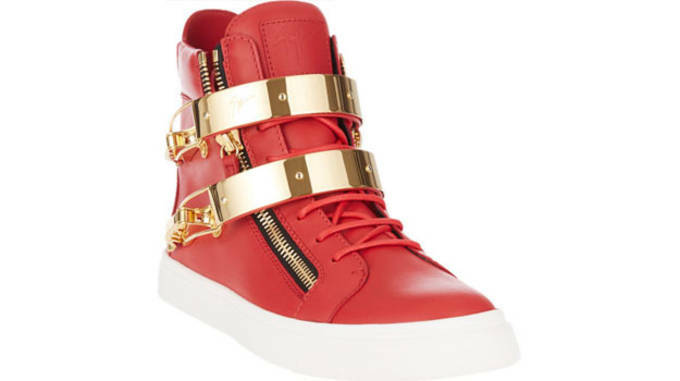 These sneakers from Louis Vuitton are aptly named because they will sure pack a pretty powerful punch to your wallet. Dubbed an evening sneaker, the shoes feature a suede calf leather upper embroidered with beads and sequins in a motif inspired by LV&apos;s Monogram flowers. Brace yourself because it only gets more extravagant from here. Who knew Origami could be so expensive? 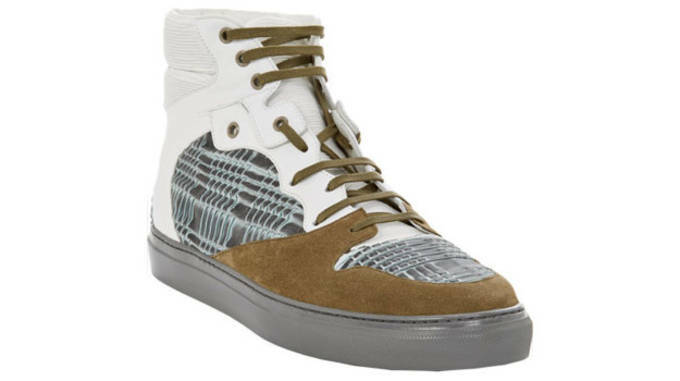 These high-top sneakers are made of smooth white leather with a touch of olive green suede. The real star of the shoe though is the grey textured origami panels found just above the midsole and on the toe. How many pairs of the LeBron 12 you could buy for the same price: Six with enough money leftover to buy four pairs of Nike Hyper Elite Crew socks. Who needs adidas Boost cushioning when you can just walk on shearling instead? The antique brasstone zip gusset at the shoe&apos;s eyestay may remind you of Gary Payton&apos;s Nike Air Zoom Flight "The Glove" sneakers, except these ones will cost you roughly $1,000 more. You don&apos;t have to worry about people not noticing your $1,000 shoes with these Chanel sneakers. 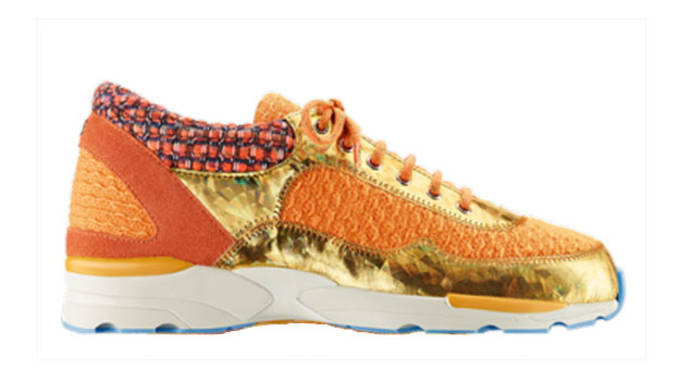 If the orange tweed and suede calfskin upper weren&apos;t enough to get peoples&apos; attention, than the gold highlights will certainly do it. 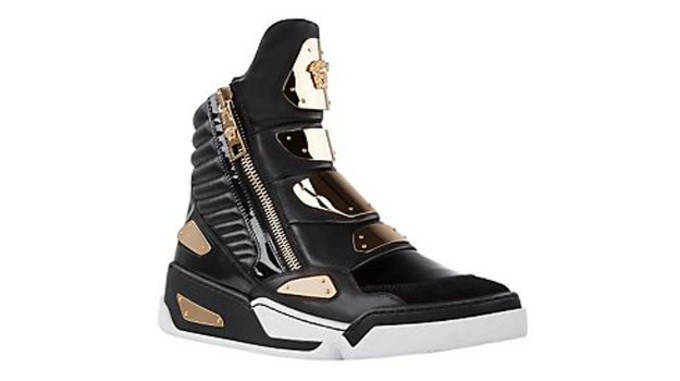 Forget Nike Flywire, these sneakers form Giuseppe Zanotti provide a lockdown fit thanks to two massive metal-plated hinge-buckle ankle straps. Just incase your foot wasn&apos;t secure enough, the Italian designer threw in three oversized zippers for extra support. 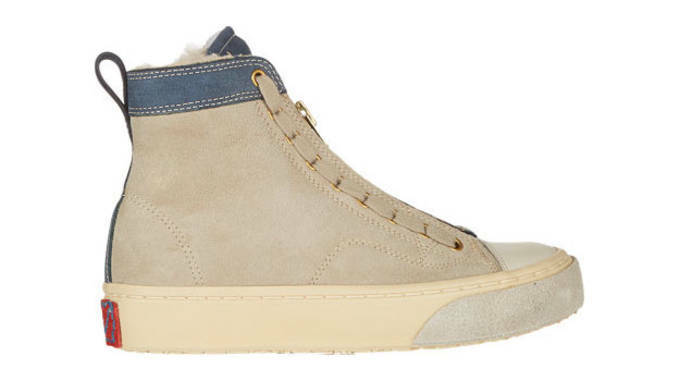 Consider this Gucci shoe the Nike Kobe 9 EM of luxury sneakers. While most of its counterparts are high-tops, the low-top sneaker still holds it&apos;s own against them. 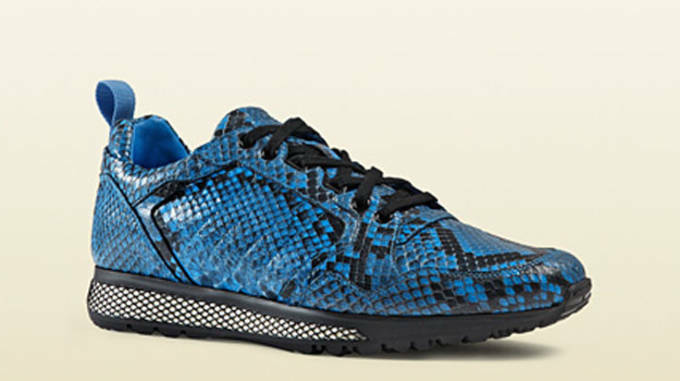 However, instead of having a graphic upper, these sneakers are actually made of python. Then there&apos;s the Mamba-Python comparison, but that&apos;s just too easy. If you&apos;re going to have a Jimmy Choos sneaker you might as well make it a wedged one, right? In addition to giving you a few extra inches, these shoes will give you some extra shine too, as the black suede upper is littered with mini studs for an elegant look. Versace! Versace! 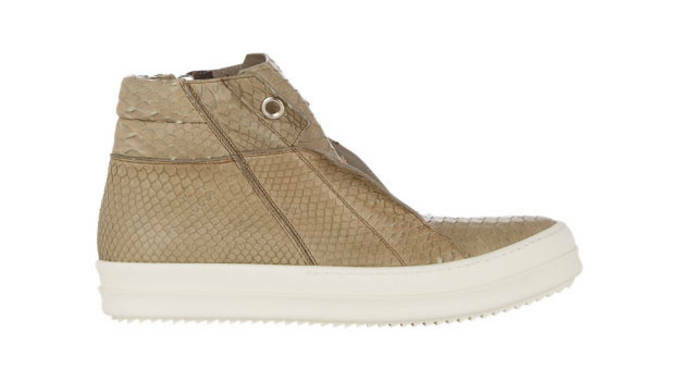 The sneaker&apos;s soft leather upper is decorated with Versace&apos;s Medusa logo in addition to other gold panels throughout. As is the case with most luxury sneakers, the shoes use zippers instead of laces because who has room for shoelaces with all that gold? For the price of these leaf python crafted sneakers, you could essentially buy one of each of LeBron&apos;s signature shoes plus a bonus pair. Despite what the shoe&apos;s name may suggest, we do not advise you to try dunking in them. Leave that to the one of thirteen pairs of LeBrons you could buy instead. How many pairs of the LeBron 12 you could buy for the same price: 13 with $195 left over to get you through your monthly budget. 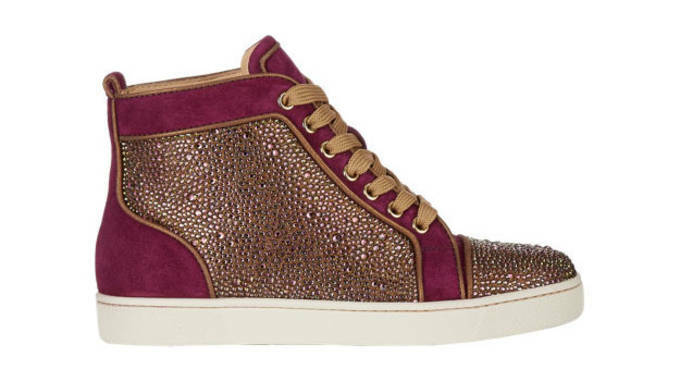 At $2,795, these Christian Louboutin sneakers are embellished at the vamp and quarter panels with Strass crystals. Go big or go home, right?